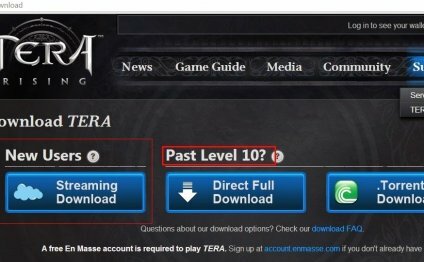 Playing TERA with a party is great fun, and while the cross-server instance matching system is an excellent tool for quick dungeon runs, our game has so much more to offer! Maybe you want to find a party to tackle a particularly tough world boss. Maybe you have a guild of slayers and warriors, and just want a mystic for some adventuring fun with your friends. Maybe you're tired of waiting in a queue for the "perfect" party, and feel like tackling a dungeon with only three or four players. There are a great number of party combinations in TERA, and there is a built-in way to get exactly the one you want. In-game, use the hotkey to pull up the LFG (Looking for Group) menu. From there, you can write a brief message to your server describing what you're looking for. Once you've done this, a new posting appears, advertising how many people are in your group. Prospective members can then inspect the classes and levels of the group, and decide if they want to join. Players looking for groups can also search for what they want by level and goals. You can also advertise your group to the LFG chat channel, either by a directly typed request, or by using the "publicize" option on the LFG menu. To add the LFG channel (or any other channel) to any chat tab, select options, then check the boxes you want.